this is the first of a microwoman ‘takeaways’ feature series, in which i share brief observations from the various conferences, symposia, workshops and other events that allow me to learn and grow and claim some power as a microwoman. 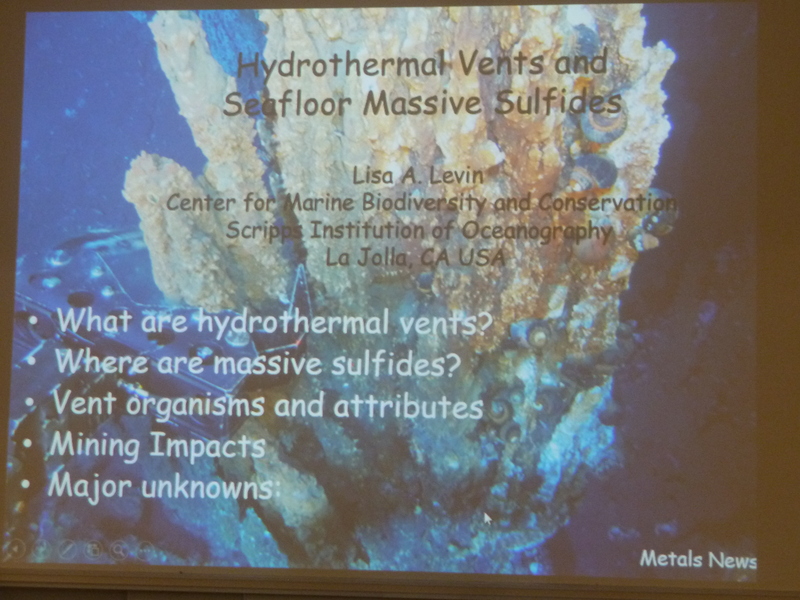 the idea for this series came to me while sitting in a one-day symposium on deep seabed mining in the pacific which was held on 4 april 2015 at the university of hawai’i-mānoa in honolulu. 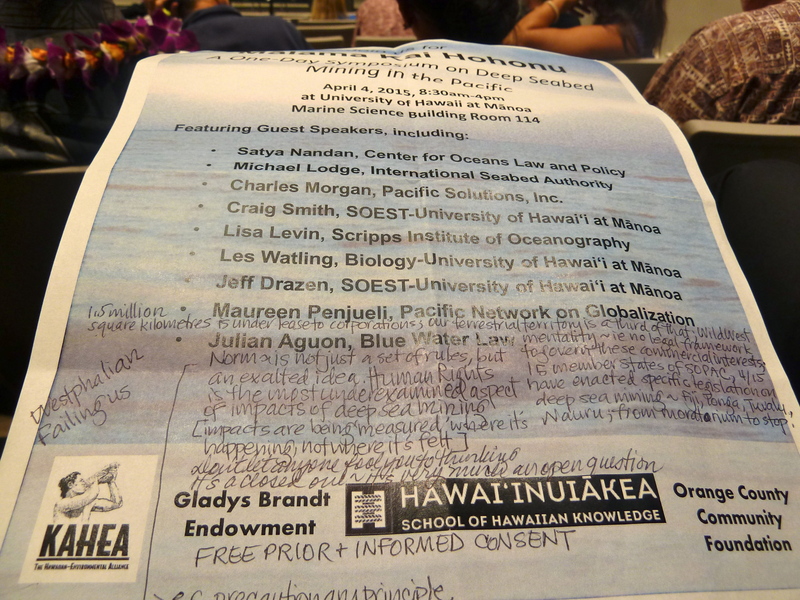 organized by kahea: the hawaiian environmental alliance, the symposium provided activists and interested members of the public with the opportunity to hear first hand from scientists, international public servants, non-governmental organizations and lawyers working at the intersections of mining and seabed research. i was also inspired by a recent blog by pimpi, which summarized some of the highlights of an arts conference she attended in melbourne. as someone whose family and entire ethnic group was displaced and relocated due to terrestrial mining of phosphate (see the microwoman interview with katerina teaiwa for more on that), i get concerned whenever resource extraction is presented as a viable development option for pacific people. 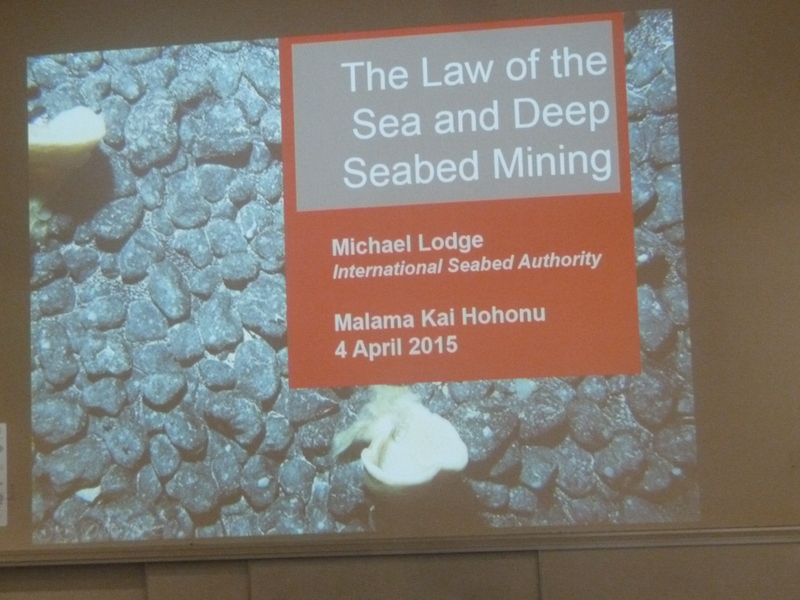 julian aguon, blue water law discussing the implications of deep seabed mining in international law. note: satya nandan, the fiji lawyer who came to prominence for his work on oceans and the law of the sea, had been invited but was not able to attend. charles morgan had had a ‘takeaway’ slide in his presentation, that prompted me to come up with my own takeaways. basically morgan was saying that deep seabed mining was the lesser of two evils–the other evil being terrestrial mining. 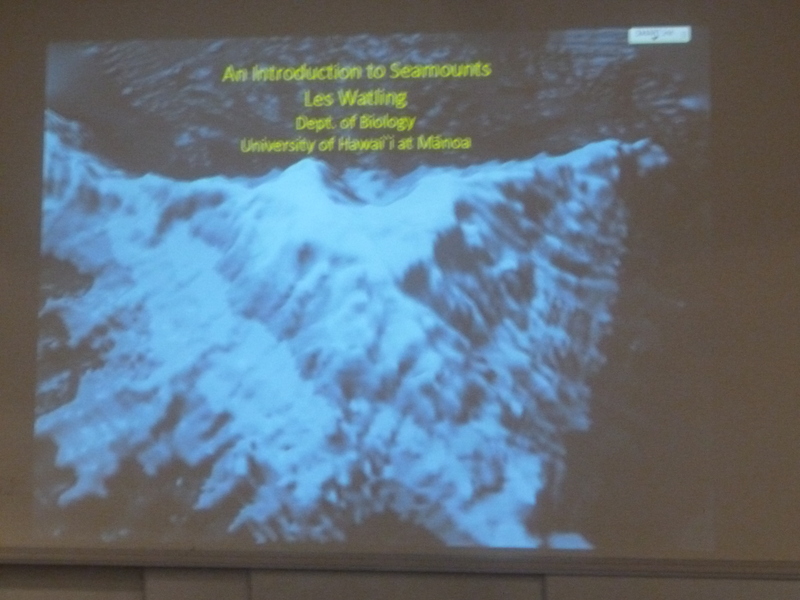 however, craig smith, lisa levin, les watling and chris kelley’s presentations documented such a rich seabed biodiversity that i was not convinced that mining is worth the risks. 1. science is used against indigenous people more often than it is used in our favour. 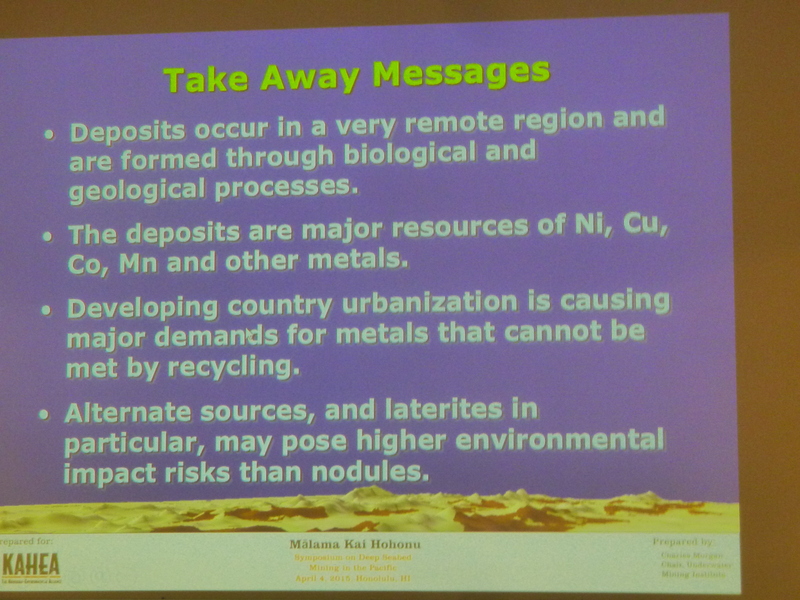 if you’re concerned about mining of any kind, you need to engage with the science and scientists. information is power. we need the information the scientists have. not simply to believe them. not necessarily to agree with them. just so that we know what they (think they) know. ignoring science gives scientists the perfect reason to ignore us. 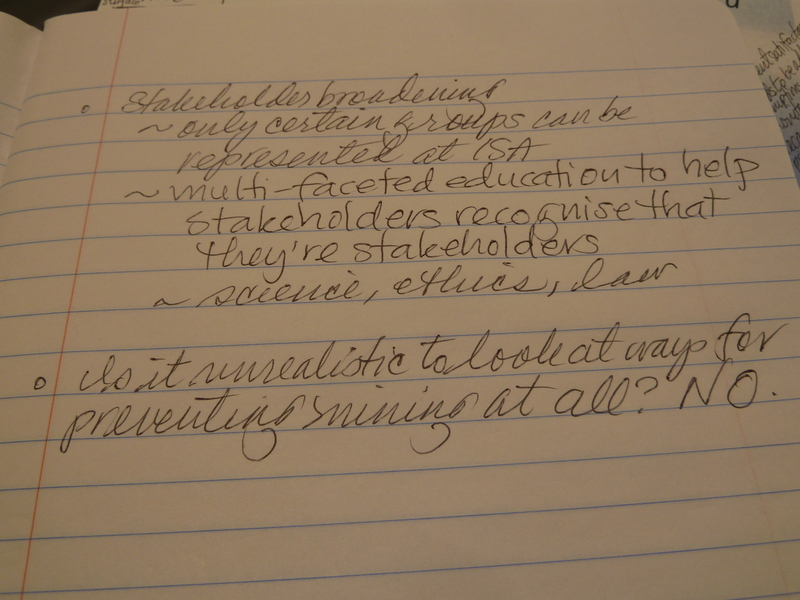 (see this discussion about the panguna mine on bougainville on the papua new guinea mine watch blog, for example) but some scientists share our concerns about seabed mining, and at this symposium, the biologists and some of the geologists were clearly reluctant to see deep sea fauna and ecology sacrificed in the name of ‘development’. 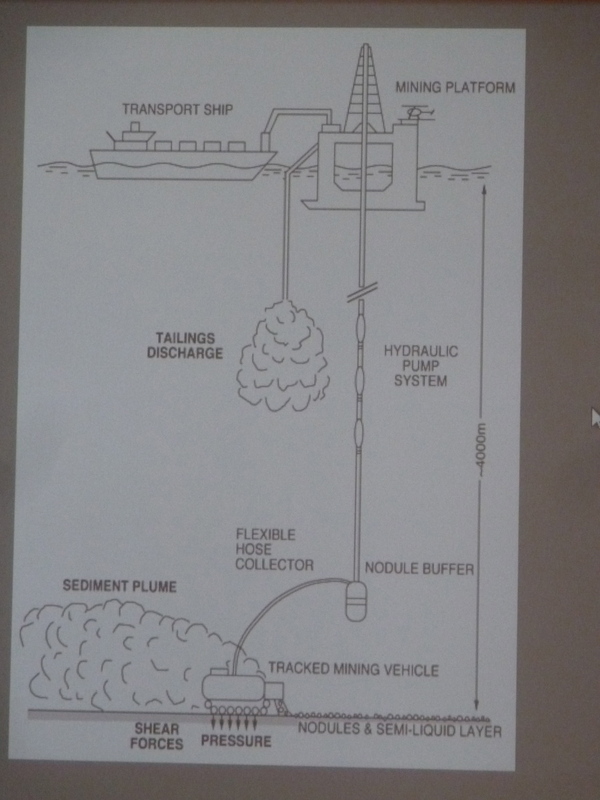 2. there are two legal contexts in which seabed mining is being proposed: one is within the framework of nation-states, and the other is in the framework of international waters. 2a. 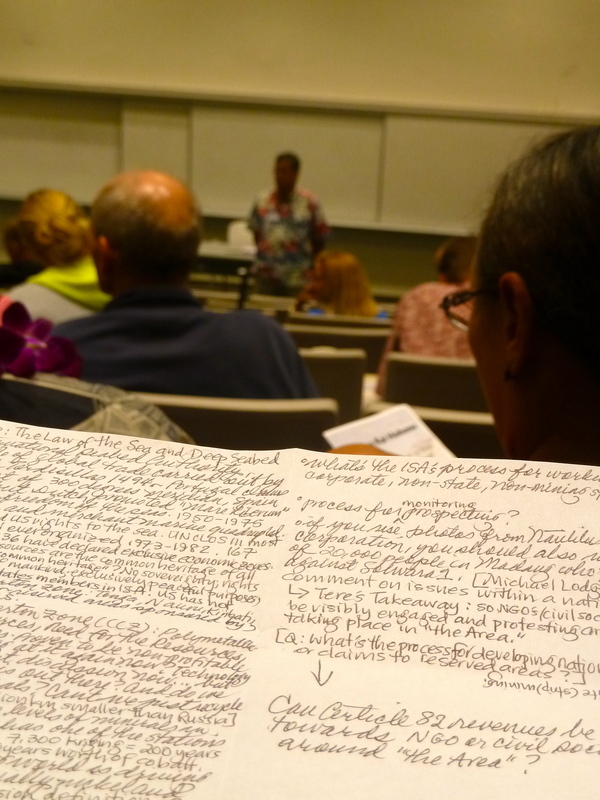 as maureen penjueli noted 1.5 million square kilometers of the pacific ocean seabed are already under lease to corporations–there is a wild west mentality surrounding seabed mining, especially where there are no proper legal frameworks to govern commercial interests. right now, only 4/15 member states of SOPAC, the pacific islands applied geoscience commission, have enacted specific legislation on deep sea mining–they are fiji, tonga, tuvalu and nauru. 2b. the international seabed authority, which is based in jamaica, governs what’s known as “the area”, i.e. ocean territory outside of nation states’ exclusive economic zones (eez), in international waters, and therefore deemed to be “the common heritage of all mankind.” the good news about “the area” is that under the law of the sea, it cannot be militarized. however, the international seabed authority can issue licenses to states (who inevitably partner with corporations) to mine in “the area”. 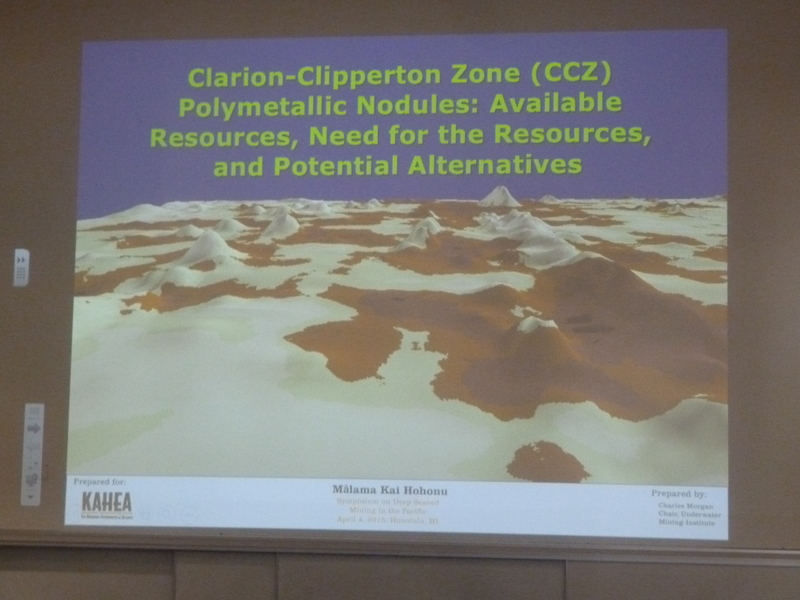 significantly, developing countries that apply for such licenses are looked upon favorably, and nauru, kiribati, cook islands and singapore already have licenses for mining in the clarion clipperton zone near hawai`i. otherwise, the international seabed authority does not involve itself in issues that take place within a nation-state’s eez.